William Kempton has a new spin on an old tradition. When William Kempton, industrial designer and teacher from the Oslo School of Architecture and Design, was presented with this 3D printing idea, it didn’t take long before he found himself at the forefront of gingerbread innovation. This being Kempton’s first attempt at a gingerbread house, it would probably have made sense to pick something simple for his first attempt. Instead, he chose the Borgund stave church in Lærdal as his model. “The church was great for printing because it doesn’t have much in the way of structures stretching outwards. Instead, it narrows gradually toward the top, with a lot of weight at the bottom”, Kempton says. Various technologies have been utilized for building gingerbread houses in the past. However, this has usually been for cutting or printing building blocks that are then assembled in a traditional fashion. Kempton’s goal was to instead print the whole thing in one big piece. Early attempts had a habit of collapsing in on themselves, so adjustments both to harden the dough and streamlining the subsequent process were needed (Kempton has posted a thorough explanation of his process on Medium). 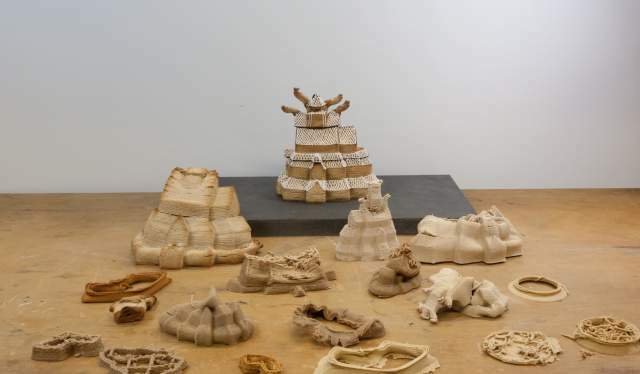 Along with large amounts of starch and flour, Kempton switched out water for another, less traditional ingredient he picked up when attempting to 3D print with clay. After figuring out what temperature the 3D printer nozzle should be, Kempton also had to model an internal support structure for the church to keep it from caving in on itself. Kempton’s mix of tradition and technology has already led to international media sending him e-mails, while Norwegian broadcaster NRK already have an article out. In the commentary section, not everyone was taken with Kempton’s approach. Kempton is pleased that his gingerbread house can inspire technological debate. Even though his building methods are less than traditional, Kempton makes sure other parts of the tradition are upheld.